I bought these on-line the other day. £1.50 a bottle!!! I haven't tried them out yet - literally just stuffed them into a box. I have come to realise that as much as I'd like to be able to blog every day, I just can't. Having small kids means that I don't have time to change polish as frequently as I'd like to, let alone turn the PC on. Sometimes I only get time to paint one hand before the small folk start shouting orders. Here's my attempt at using my BM plates. I was able to finish one hand and looked absolutely ridiculous with only the stripes of colour on the other hand - so I took it off the next day. The colours are quite nice separately but the Pompous didn't do anything for the black design. Do you ever feel that there are some colours that just don't suit you? I'm like that with bright reds. I have big hands and red just makes them look even bigger. 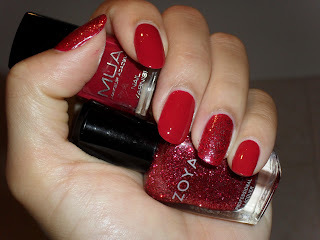 I got smooth coverage with two thick coats of MUA colour and I added some Zoya Astra for a bit of glitter. The colours are lovely, but on me? Meh. This one isn't - makes it look orange. 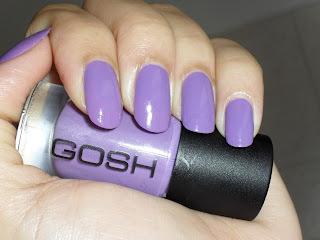 I'm officially loving GOSH. Purtty Wild Lilac. 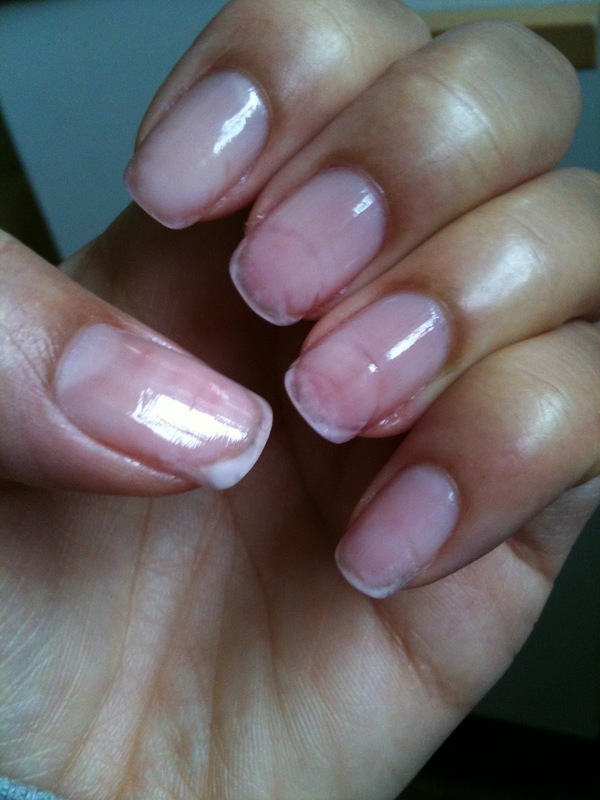 Chipped after a day of wear and two coats :-( I decided NOT to ruin it with my haphazard Konading!! I also think I need to order some more Konad 'Special' polish because the three colours I have are seriously limiting my colour combinations. You can still see the ridges that I'm growing out, especially on my ring finger. 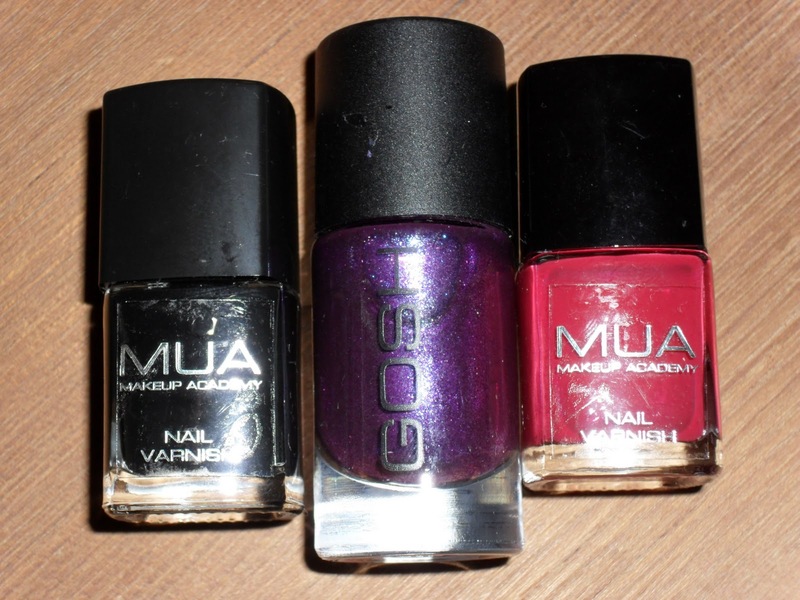 So, last Saturday I was going up and down the cosmetics isle in Superdrug for about 15 minutes poking around in the polish. 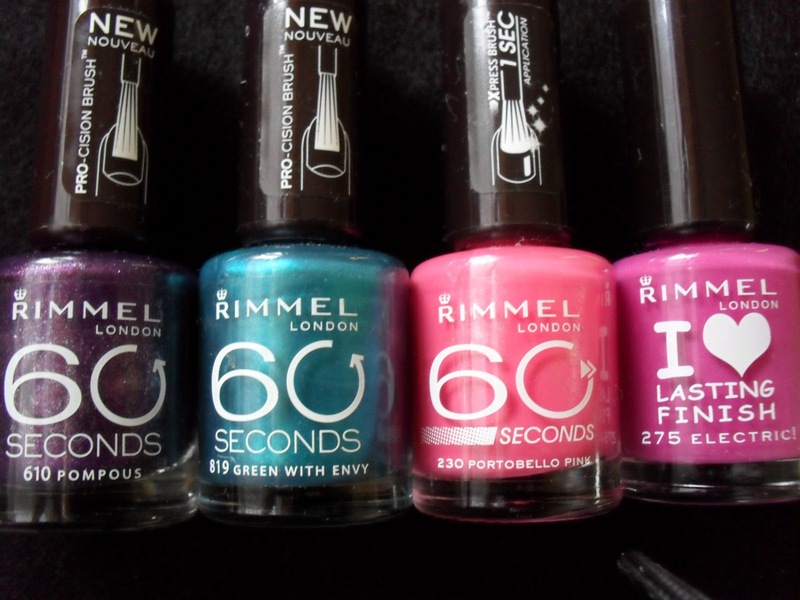 My sister was giving me side-eyes as I stood comparing three different shaped bottles with the 'same' colours in them. To my delight, I saw a little stand that had Makeup Academy (MUA) make-up and polish on them. 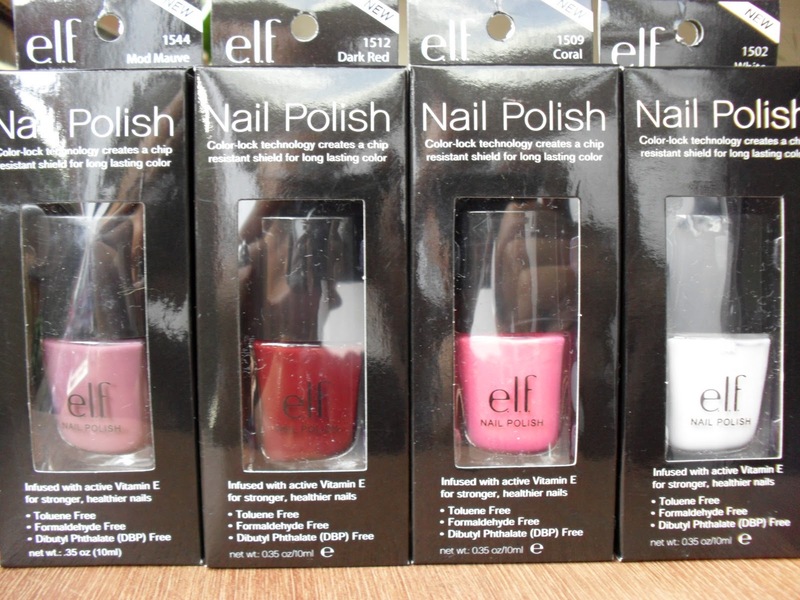 The little bottles were £1 for 6.2ml. I had told myself I wasn't buying anymore polish this month, but it would have been rude not to at this price! 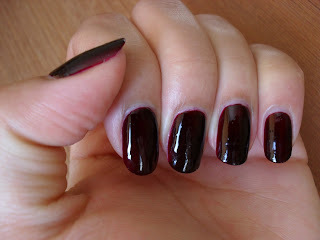 Shade 8 - which is actually a reddish jelly finish. I think perhaps I need to stop showing bottles of colour and get to painting me nails, eh? 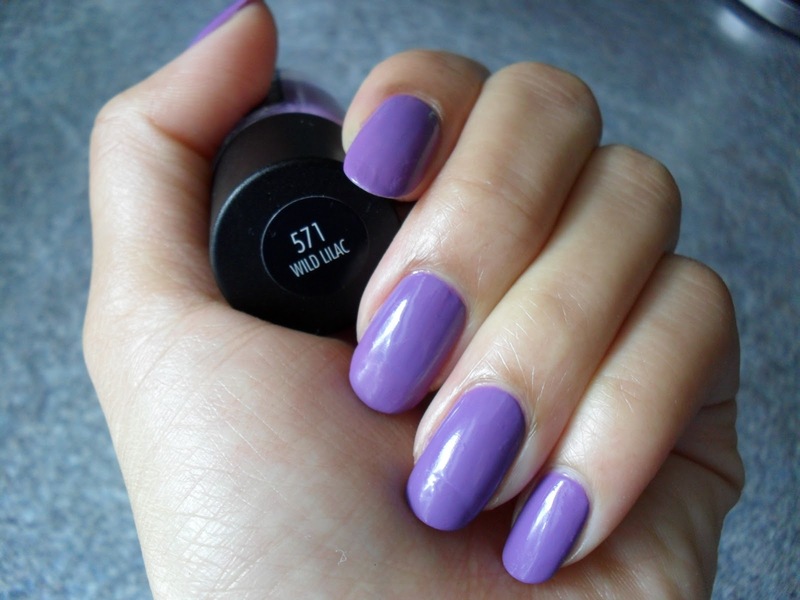 I love this colour. Look at the sparkle! 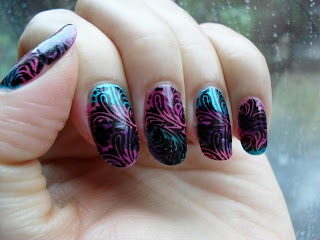 Then I ruined it with some newbie stamping (FAIL!) 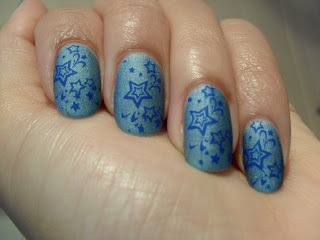 I used Bundle Monster plate 21 and blue 'Special Polish' from the Konad set. Then I ruined it again with a coat of Matte. Oh well, I AM learning! My posts are so long, I had to put this in on its own! 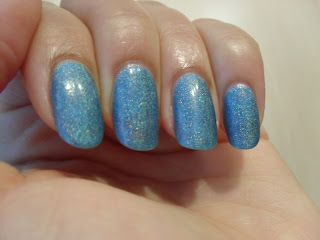 'Victoria' by nails inc. I'd say that this was the colour of a nice Merlot. Mmmm, Merlot. This is about 3 coats of jelly goodness. I'm not a fan of the amount of doctoring this needed; the first coat was streaky and I had to go back over several times to get full coverage. Don't get me wrong, I do like it but prefer only needing to use two coats at a time. I also tend to polish at night (because my life doesn't become my own until around 9pm!) and because I was rushing, I ended up with tiny bubbles in the application. I think I need to buy some more 'jelly' finishes. But not this month...yeah, right *goes to find debit card for yet more on-line purchases*. 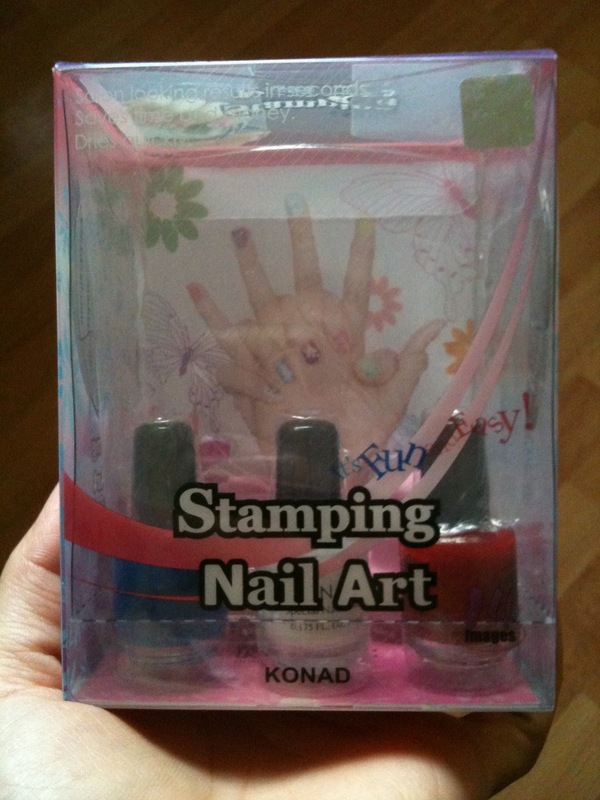 I'm also going to try some nail art and stamping at some point. As with many things, once I get a bee in my bonnet, I can barely sleep. When I re-kindled my love of nails, I started dreaming about polish. Seriously. Hubby has been off for a week and every time the doorbell rings, it's the Postie. With a parcel. For meeee. Luckily, he has his own photography thing happening so I don't mention it when he comes home with tripods and talks about shutter speeds and ISO's. He just nods with interest when I start dribbling over holos and stamping and perfect clean-ups. 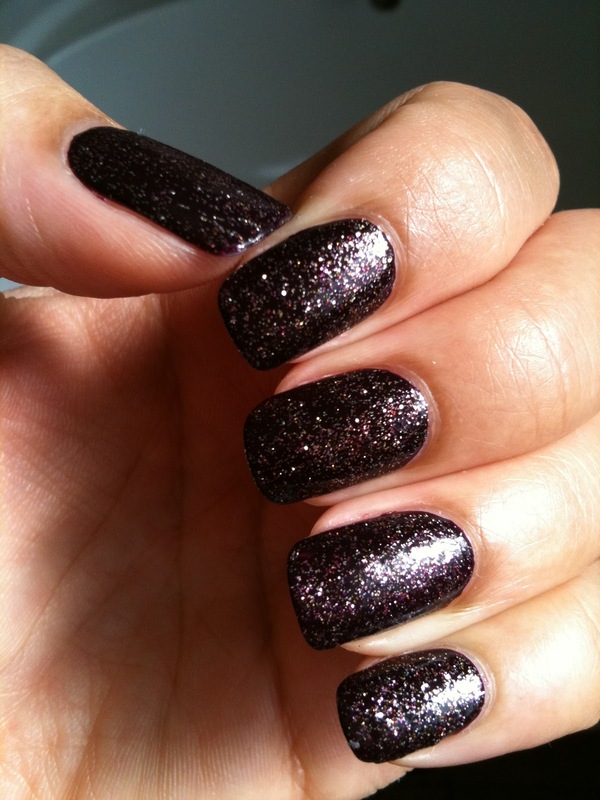 'Charla' - base coat, four coats of colour, top coat. 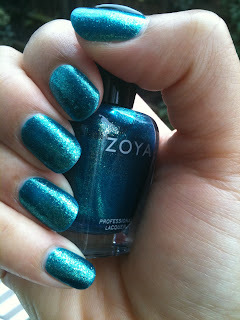 This was a clear/turquoise base with blue/green glitter particles. 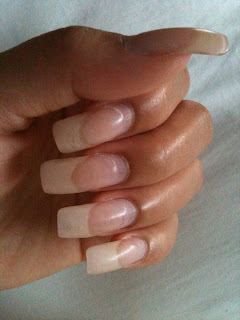 It lasted for four days without a chip and when I took it off, it was only chipped on the corner of one nail. I wash my hands a lot during the day so I'm impressed with the durability. Taking it off was a different story - acetone would have been a lot faster, but I have some tiny patches on the corners of three nails so I just used non-acetone. I had turquoise fingers afterwards! 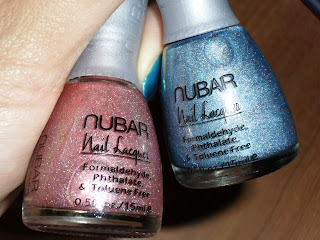 'Absolute' and 'Essence' by Nubar - haven't worn any of these yet. My Bundle Monster plates. I can't wait to use them. 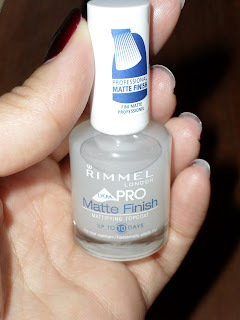 Rimmel Matte Finish...didn't even know they had this. 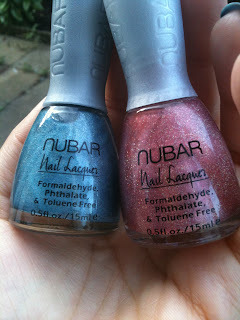 Found it in a tiny branch of Superdrug in Harlesden! I seriously can't spend anymore money on polish this month. I think I have enough to be getting on with don't you? 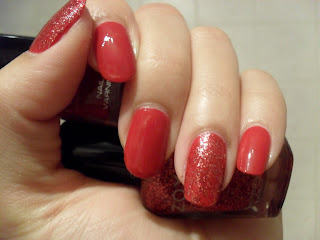 OPI sale - only a day left! You'll have to be quick though, there's only one day and four hours left until the sale ends. If there's anyone out there (smile) and you manage to get some of these before they all go, please let me know? Oh, I've been spending my sheckles. The other day I received my first Konad kit from http://www.blushcosmetics.com/. 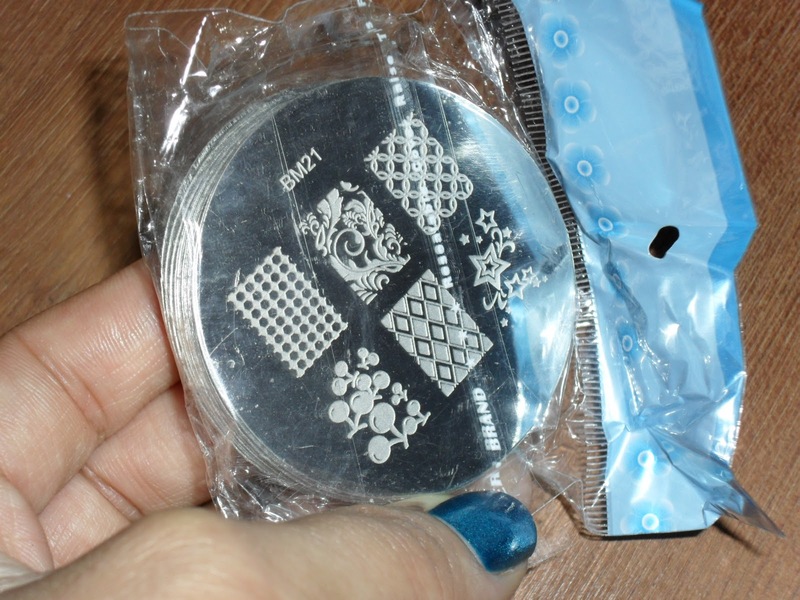 I got the Stone stamping kit (with m9 and m4 plates, a little tub of gem stones and black, white and red 'special' polishes) for £15.99. You can also buy seperate plates from this vendor for £5-6. 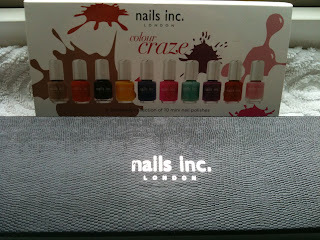 Whilst wandering around Debenhams last week, I found 'Colour Craze', a pack of 10 mini bottles of Nail Inc polishes. 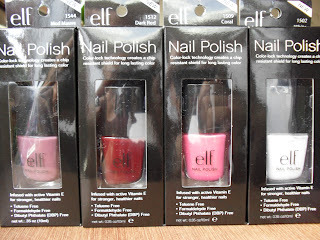 I wouldn't usually buy from Nail Inc (because I've only just renewed my love for polish) but as these were so cute and I had a gift voucher in my bag, I bought them for £25! The photo isn't great and I took better with my camera, but I can't find the USB cable so I had to retake them on my phone *slaps forehead*. The manicure is not as perfect as some of the ladies I've seen on other blogs, but it's my first time and I'm still learning! 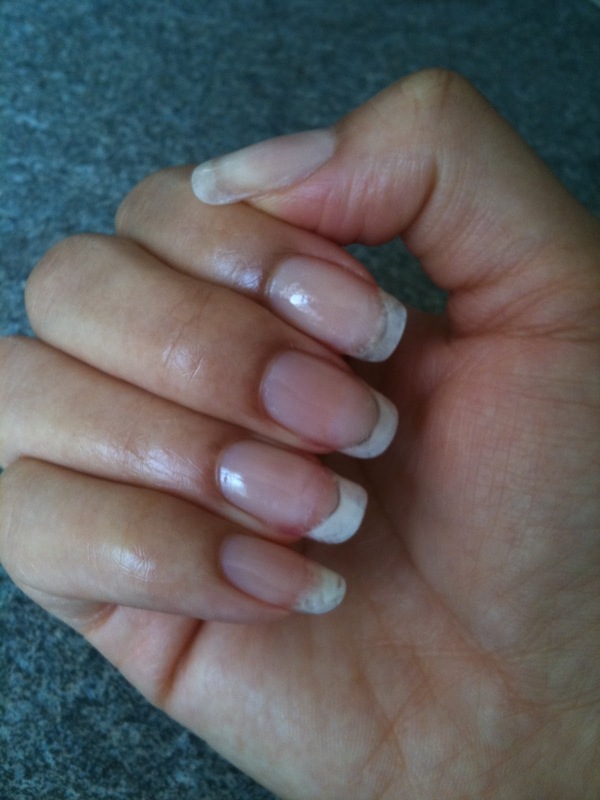 And here is what my 'naked' nails look like (with one coat of Duri Rejuvacote and a couple of fibre glass strips here and there!) at the moment. They've definately grown throughout September, but as you can see, there is still a lot of damage visible. I'm going to file them a little before I do my next manicure; I need to get rid of the nasty tears on my thumbs, left index, middle and pinkie fingers that I'm currently patching. 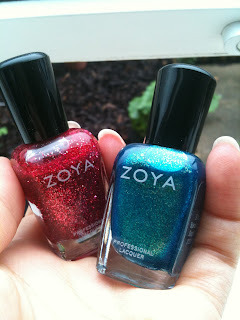 I'm currently waiting on two bottles of Zoya polish (Astra and Charla) and some Bundle Monster plates - an imitation of Konad plates but more plates for your money. As a teenager (I'm 32 now) I've was totally obsessed with my nails. 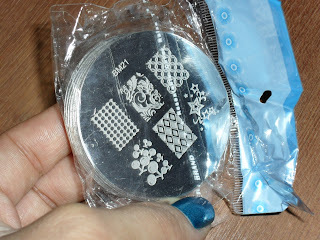 I used to go to Sally's on the weekend and buy fibre glass, resin, nail tools, charms, polish, foils etc. I had two boxes of...just...STUFF. Even a 9ct gold nail charm. Classssy. 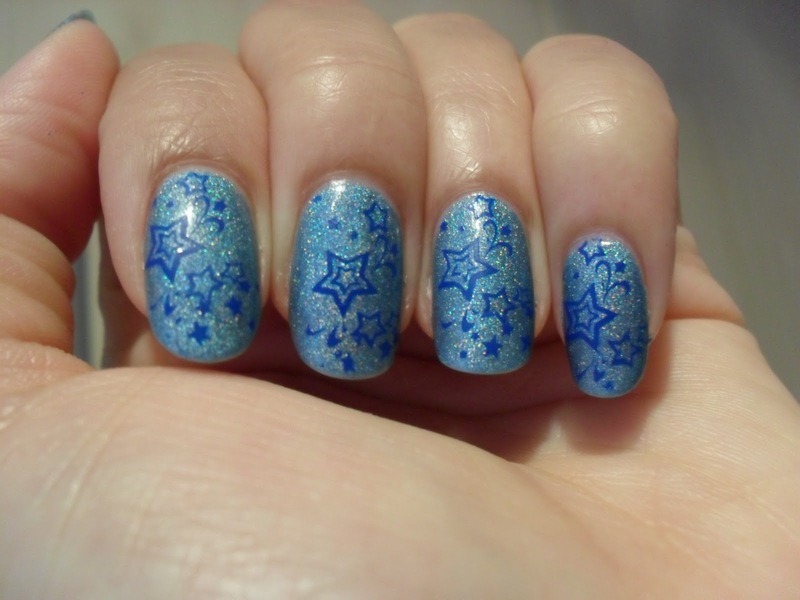 I was working weekends at Sainsburys and every Saturday morning, my boss would ask what I was wearing on my nails that day. 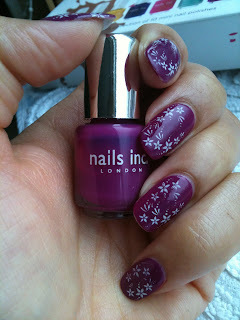 My nails were loooong but that was only because I was 17 and did nothing other than work part-time and study. 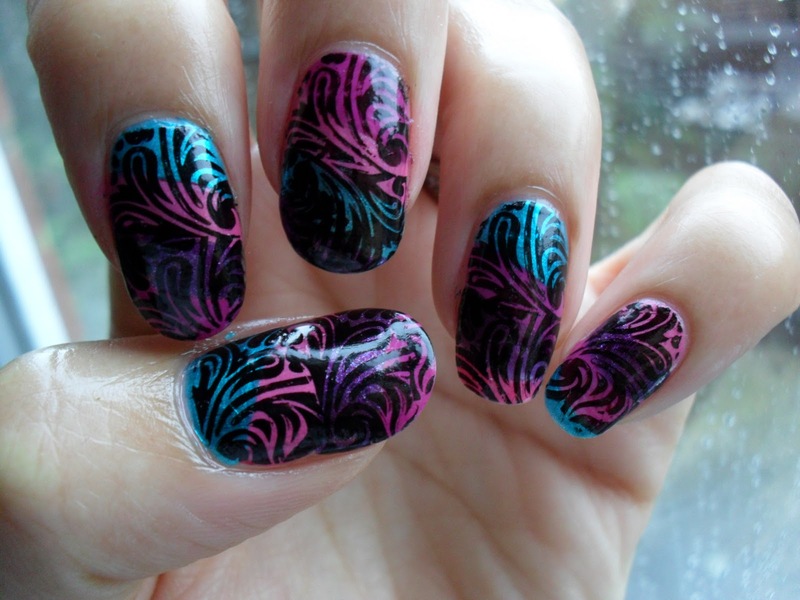 I remember being on holiday when I was in my early 20's and was wearing harlequin nail art with white and pastel colours. I broke my pinkie nail somewhere in the middle of Lisbon, Portugal and went nuts. The friend I was travelling with at the time found the free edge of the nail and gave it back to me. When I got home to London I actually stuck it back on with nail glue and reinforced it with fibre glass and resin!! Cutting my nails down was NOT an option. 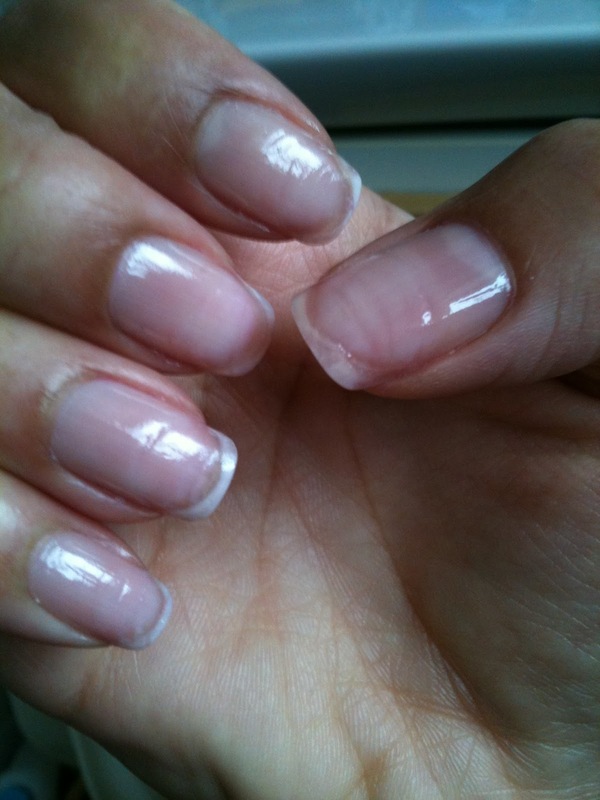 I had years where I had long natural nails, then short nails. If I had a special occasion, I might put on some gel or acrylic tips myself (remember, I had EVERYTHING including a UV lamp and e-file) and other times I might get them done at a nail bar. 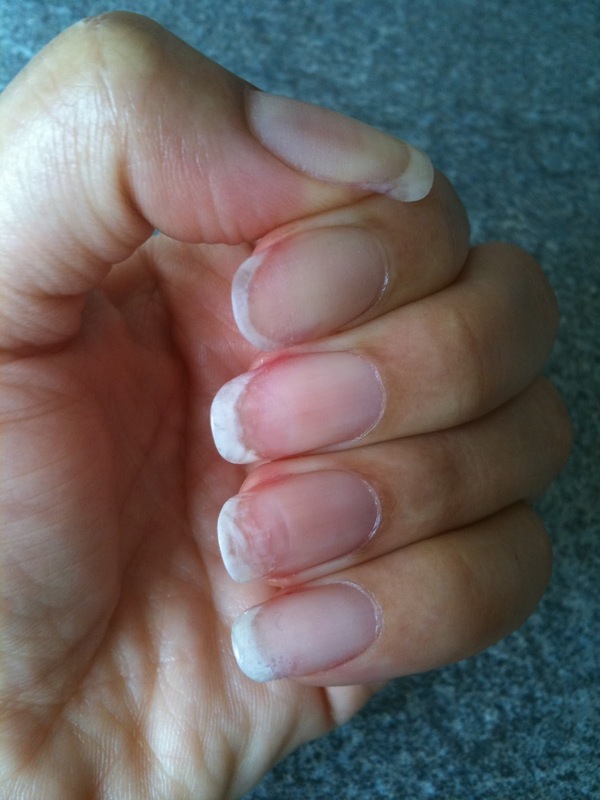 I would then get fed up of my cuticles being chewed up with an e-file just because the person doing my nails couldn't be bothered to take care. The ridges that would be left behind after removal would set me back for months. Admittedly, I've never taken REAL care of my hands. I wouldn't carry any hand cream in my handbag and would use bleach or hot water without gloves. My most recent set of acrylic overlays were taken off in August this year and I'm still growing out the damage. In a bid to do this as easily and as quickly as possible, I googled, YouTubed and read blog after blog. I found great information on products, nail care and saw beautiful natural nails both short and long. I've also now renewed the terrible habit of buying and hoarding. My husband has started to give me funny looks every time the postman comes with a little brown package. SMH. 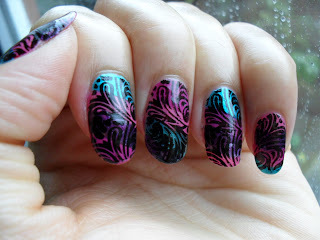 Here are my nails before I soaked off the acrylic. Yes, I know they were long and hadn't been filled in. I was in the last stages of pregnancy and just couldn't be bothered anymore! This is what they looked like afterwards. I intend to keep them relatively short until the damage is completely gone. From now onwards, I intend to use cuticle oil, hand cream and actually take care of my hands and nails. I've even bought some rubber gloves...amongst other yummy things! Oh and by the way I'm using my iphone 3GS for photos at the moment. My flat is pretty dark and I don't have a flash on this phone. I have to stand right next to a window for a decent shot!